The AFCPE, short for Association for Finanical Counseling and Planning Education) is the nationally recognized leader in financial counseling, coaching, and education. They support professionals by providing career advancement and professional development opportunities, including exceptional financial education trainings, the Journal for Financial Counseling & Planning and the Annual AFCPE Research & Training Symposium. Rebecca provides strategic direction and leadership for the AFCPE, working closely with Board of Directors, staff, partners, and stakeholders to ensure the highest standards of professionalism for the field of financial counseling, coaching, and education. 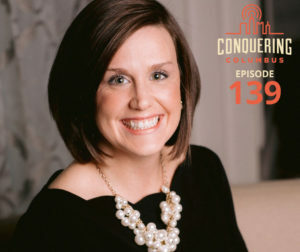 (00:02:31) Like, subscribe, and share Conquering Columbus! (00:29:50) Like, subscribe, and share Conquering Columbus!